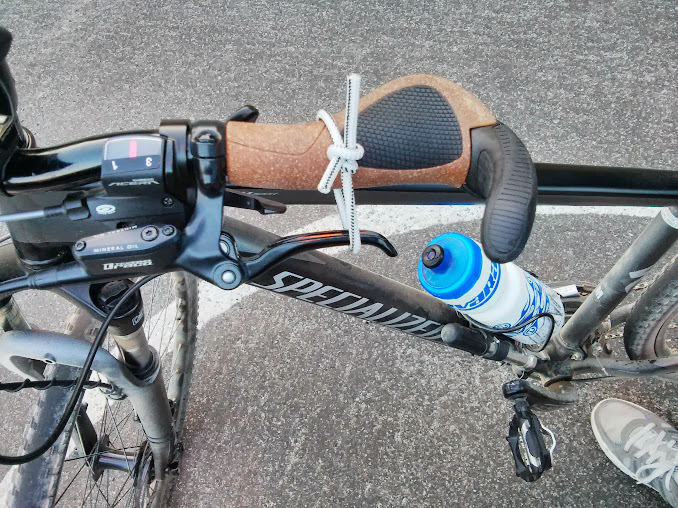 Tie this around a brake lever to maintain light pressure on the front brake. 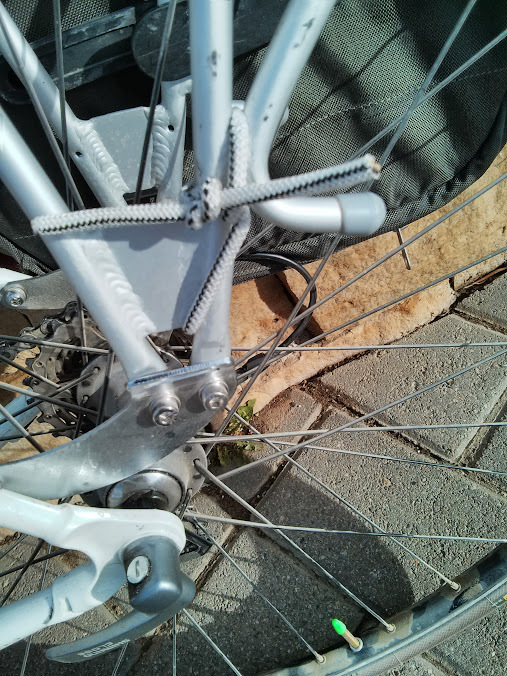 This immobilizes the wheel and helps keep the bike from moving while propped up in a train or against a tree. The brake is a short loop of nylon shock cord. Adjust it once to fit, and just slip it on / off as needed. The cord will be tight enough to maintain brake pressure, but also loose enough to allow you to release pressure (squeezing near the top of the hood) to relocate the bike. for $1 I'll mail you a few. For $0 I'll hand them over, just find me. The Commuter Brake, temporarily repurposed to secure a broken rack.